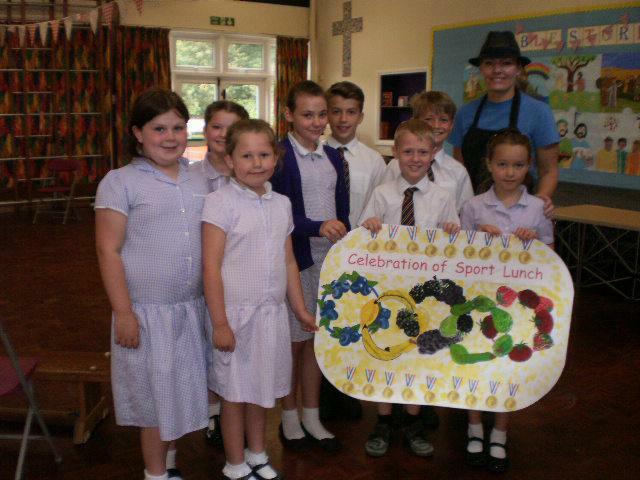 School Councillors created a poster for Mrs Ford and her kitchen staff to advertise the Celebration of Sport Lunch held on Tuesday 12th July. The poster showed the five Olympic rings in healthy fruits and vegetables. At lunch, each child who chose three or more fruits or vegetables from the salad trolley received a special gold medal. We raised £60.24 for our Charities!